W. W. Norton & Company, 9780393062625, 608pp. 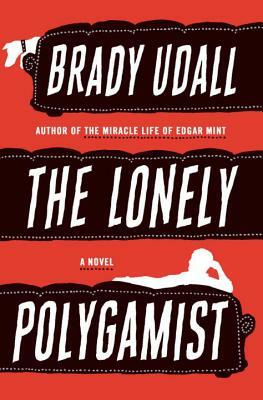 Beautifully written, keenly observed, and ultimately redemptive, The Lonely Polygamist is an unforgettable story of an American family--with its inevitable dysfunctionality, heartbreak, and comedy--pushed to its outer limits. What were your views on polygamy before reading the book? Did they change after you finished reading? Discuss Golden’s progression from lonely polygamist to social polygamist. How does a renewal of faith assist this transformation? Compare and contrast Golden’s behavior at the two funerals. How are they similar? In what ways are they different? How does Glory affect the other family members and Golden in particular? Discuss the motifs of creation and destruction that appear throughout the novel. Do you think Rusty is a representative figure for all of the Richards children in the novel, or is he in some ways unique? Trish is one of the most conflicted mothers in the novel. What do you think of her decision at the end? Was it the right thing to do? How has the family changed at the conclusion of the novel? Do you think they are happy with their decisions? Discuss Rose-of-Sharon’s reaction to Rusty’s accident. Do you think you would have reacted the same way if you were in her place? Why do you think Golden isn’t able to consummate his affair with Huila? Physical appearance is described with exacting clarity throughout the novel. Golden is described as bucktoothed and “Sasquatch,” and Glory as “lopsided” and “overstuffed.” Why do you think there is such a heightened awareness of the body? What is the effect of polygamy on the women in the novel? How do you think their lives and personalities would be different if they weren’t in a polygamous relationship?